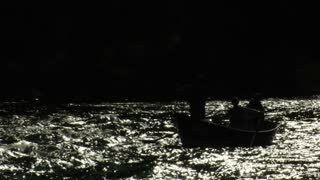 The fisherman goes fishing. 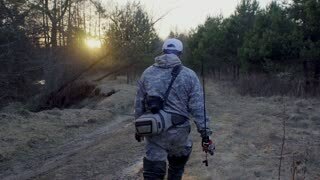 View from the back of a walking man in camouflage with fishing rods, spinning, fly fishing, tenkara. Fly fishing. 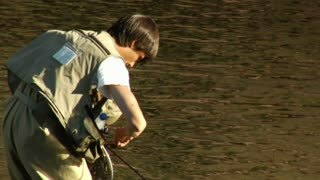 Young fly fisherman stands by the lake and spends his day fly fishing. Fly fishing from lake in Azerbaijan. 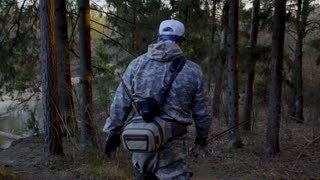 Slow Motion footage of fly fishing for west coast chum salmon. 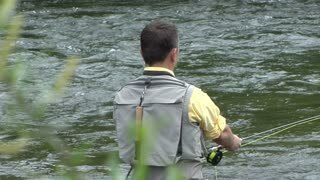 Pristine clear river fishing in the mountains with huge salmon on the fly. Chum salmon fly fishing in British Columbia Canada. 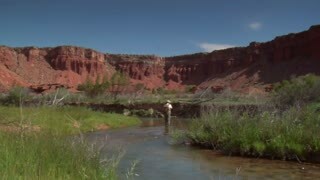 Man fly fishing from a float tube. 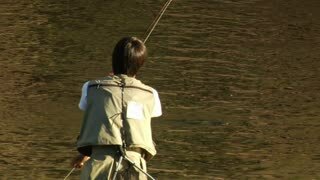 Fly fishing with long pole as fly drifts on the water. Mountain lake surrounded by forest. Recreation and relaxation. Don Despain of Rekindle Photo. Fly fishing river in Yellowstone National Park 4K. The Yellowstone, Firehole, Madison and Gibbon rivers as well as the lake offer some of the finest recreational and sport trout fly fishing in the world. Brown trout, rainbow trout. 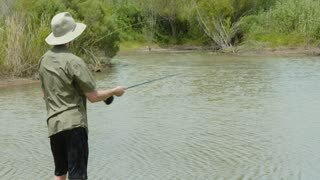 Recreation sport fly fishing nature Yellowstone 4K. The Yellowstone, Firehole, Madison and Gibbon rivers as well as the lake offer some of the finest recreational and sport trout fly fishing in the world. Recreation sport fly fishing Firehole River Yellowstone 4K. The Yellowstone, Firehole, Madison and Gibbon rivers as well as the lake offer some of the finest recreational and sport trout fly fishing in the world. Winter fly fishing mountain river snow and cold HD. Winter sport and recreation in cold weather enjoying nature. High mountain river with snow and ice. 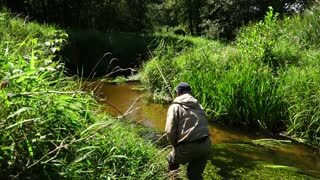 Fly fishing while wading in extremely cold water flow. Dressed in gear and clothing. Fly fishing from a float tube. Fly fishing with long casts. Mountain lake surrounded by forest. Recreation and relaxation. Don Despain of Rekindle Photo. 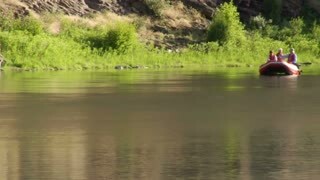 Man recreation fly fishing river in Yellowstone National Park 4K. The Yellowstone, Firehole, Madison and Gibbon rivers as well as the lake offer some of the finest recreational and sport trout fly fishing in the world. Brown trout, rainbow trout. 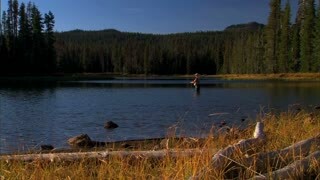 Sport recreation fly fishing Yellowstone Park 4K. The Yellowstone, Firehole, Madison and Gibbon rivers as well as the lake offer some of the finest recreational and sport trout fly fishing in the world. Trout and whitefish. Fly fishing recreation sport Yellowstone river 4K. The Yellowstone, Firehole, Madison and Gibbon rivers as well as the lake offer some of the finest recreational and sport trout fly fishing in the world. Brown trout, rainbow trout. 1950s: UNITED STATES: man casts fishing line into river. 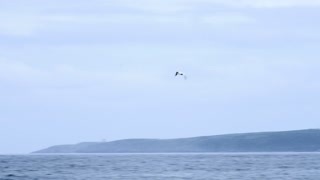 Man fishing. Fly fishing. Cartoon boy fishing.